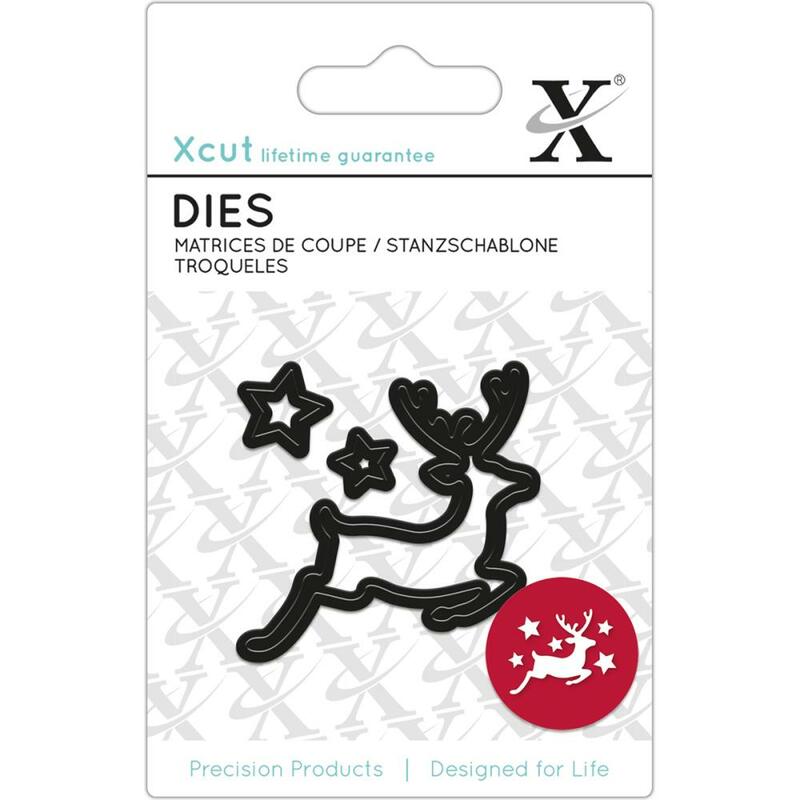 Xcut mini die set of a flying reindeer and two sizes of stars. 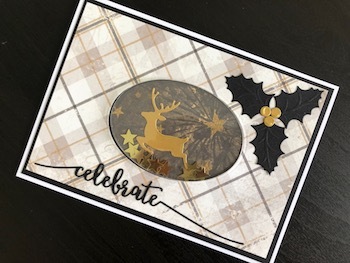 This cute mini die cutting set is a must have item for anyone who is crafting at Christmas. The cute reindeer and stars will cut through paper and cardstock up to 250gsm using any popular brand of die cutting machine. Use them to decorate cards, gifts, tags and any other project. Reindeer measures 4.5cm or 2 inches approx.